Home › Ramblings › Not very popular in Wyoming? Not very popular in Wyoming? Never mind maps…do you ever look at the search terms people use when they find your blog? Mine range from amusing to confusing to really worrying. The people searching for the worrying stuff must be really disappointed with my blog. 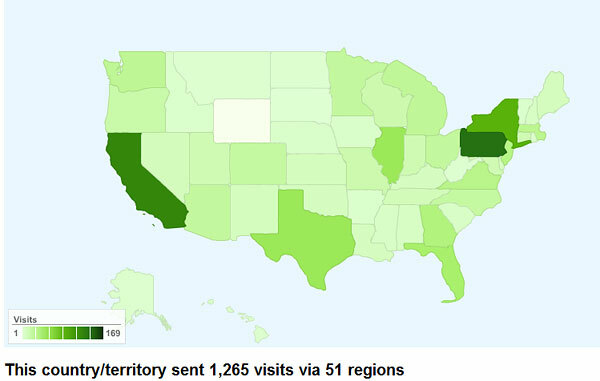 So that’s the reason, there’s only one guy in Wyoming, and he just visited your site.. hello “J” from Wyoming! You didn’t do anything to offend Wyoming. Here I am!